The informational interview is one piece of the "job search strategy puzzle." An informational interview is part of a research process, one in which information and contacts are gathered from people who are already working in target positions or organizations. It is an excellent method of conducting market research. The structure of the informational interview is one in which you ask the majority of the questions and direct the course of the discussion, as opposed to a job interview in which you are primarily answering the questions. Preparation and follow through are essential if you want to reap the greatest benefits from the experience. Why Should You Arrange Informational Interviews? Before you start informational interviewing, first do a self-assessment to determine your interests and what you would have to offer a particular field of practice. Start the research process by looking at your personal network. Think about all of the people you know (friends, family, classmates, former employers/co‑workers, members within your community or organizations to which you belong, past or current faculty, law school alumnae/i, etc.) Let these people in your network know about your interests. Ask them who they might suggest you talk with to learn more about the field in which you are interested. Contacts are often very willing to provide information and share their expertise with others for the asking. You will find people enjoy discussing themselves and their work, especially with novices in the field. NOTE: For additional ideas on locating practitioners, see the Networking page. Tapping into this wonderful resource is easy. Over 300 Chicago‑Kent alums across the country have volunteered to advise students on networking, practice areas and job markets. You can find the Alumni Advisor Network Directory on the law school's web site. In addition to the Alumni Advisor Network, you can locate other alums through the Martindale‑Hubbell Law Directory. Martindale‑Hubbell is an excellent source of information, especially when accessed on‑line through Lexis or at www.martindale.com. 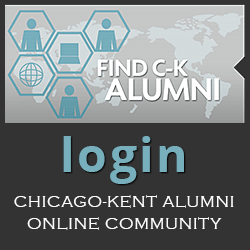 By performing segment searches by the city or state in which you are interested and then by attorneys who attended Chicago‑Kent, you can assemble a list of alums to contact. 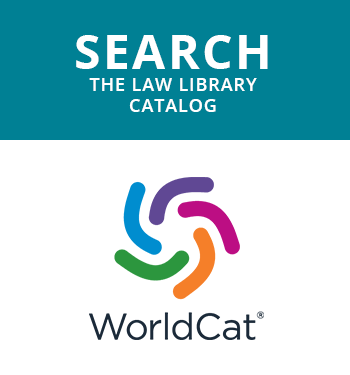 You can use the same segment search method to locate graduates of your undergraduate institution who practice law in your targeted market. 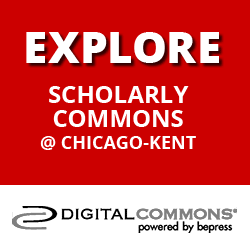 If you have questions about segment searching, see the Resource Specialist or a Lexis representative. The most efficient use of your time will involve phone calls to introduce yourself and request a meeting. For those people you do not know well, you may feel more comfortable writing a letter or an email to request a meeting. Let the person know how you located them and/or who referred you to them. Indicate that you are a law student, that you understand that they work in a particular area, and that you are very interested in learning more about the field. Tell them you are looking for general information and ask if they have 15 or 20 minutes in which they would be able to meet with you (if they are local, you might want to offer to buy them a cup of coffee in the morning before work if this fits into both of your schedules and your finances). Clarify that you are not requesting a major time commitment from them nor are you applying for a job. Be prepared to ask any questions at the time you call, just in case the contact would prefer to chat for a few minutes right away. Your goal during the informational interview is to gather information which means that you will be doing the interviewing and directing the discussion. Your discussions will vary with each specific interview. Your goals are to acquire basic information and impressions about work responsibilities, lifestyles, working conditions, educational and experience requirements, etc. Remember that the informational interview should be a low‑stress, enjoyable conversation. Introduce yourself and establish a climate of relaxation through "ice‑breaker" types of conversation (mutual contacts, the weather, the office environment). Express your appreciation that the contact is taking time to talk with you. Recognize that his/her time is valuable and that you don't want to take up too much of that time. Continue to develop rapport by asking the contact to tell you about his/her position, personal career development, and likes and dislikes about the field. Design your questions by first considering what you want to know. Your first informational interviews may be fairly general. As the search continues, you will ask more sophisticated questions about how to find a job in a particular market. Any of the questions which follow will provide you with useful information. How did you get your job at your firm/organization? Why did you want to work here? How did you develop an interest in this field? What prerequisites are crucial to finding success in your field? How is the market for lawyers in your field? How has the economy recently affected opportunities? What kinds of coursework, additional training and practical experiences will make me most marketable in your field? Which part of your job provides the most challenges? What part of your job do you like best/least? What changes have you seen over the years? What do you believe the future holds? Are there any personal attributes which you feel are crucial to success in this field? What do you think of my experience to date? Am I a viable candidate? If not, what would make me more so? What does your organization look for in hiring attorneys/law clerks/etc.? Are there any lifestyle considerations I should be aware of? If you could start all over again, would you choose the same path? Would you make any changes that would be useful to a novice? Do you know any other people I could contact to get more information in this field? When you are nearing the end of the discussion, express your appreciation to your contact for the time s/he has spent with you, and the candor with which s/he has shared very helpful information. Always ask if s/he can suggest additional people with whom you should speak. If names are provided, ask if you may mention her/his name when contacting the individual. Also ask for permission to stay in touch to inquire about new developments and future leads. You should always send a thank you note after an informational interview. Always send a thank you letter within 24 to 48 hours. The thank you letter will make the contact feel appreciated; confirm in the contact's mind that s/he was wise to take time to share information with you; reinforce the positive impression of you that was initially established in your meeting; and keep your name fresh in the contact's mind. A well written, not to mention well-received, thank you should make reference to specific advice or information the contact offered that you found particularly helpful, as well as any other contacts they recommended. You can create an easy way to follow up by writing that you will let the individual know how your job search progresses. Let them know what happens to you and remember to maintain your good contacts for future reference. You never know how maintaining a network with this person may be an asset in the future. The thank you note for an informational interview should be considered a professional business communication and be typed on business stationery if sent via mail. It is also acceptable to send an email thank you note. Follow Up - Now that you've made this contact, be sure to stay in touch with them. For a list of ideas of how to maintain contact with professionals in your network, see the Networking page.